Will the real working gundog please stand up? 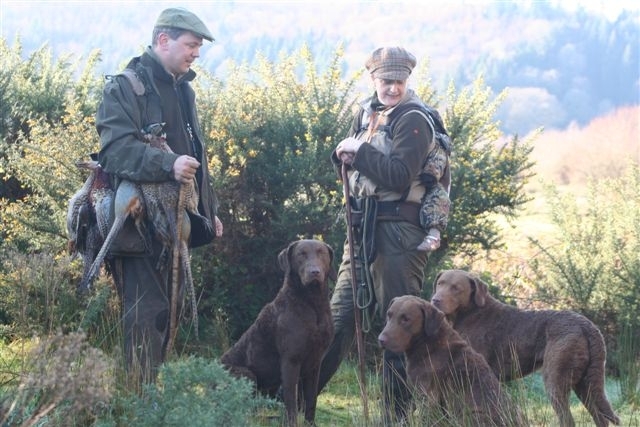 Apparently I’ve been deluding myself into believing that my chesapeakes are ‘working gundogs’. You see, this morning I made a phonecall to a magazine Editor. It was a follow-up call to an email I’d sent in last month when I was looking for feedback on my blog. His lack of interest was due to the fact that although my dogs work and compete at advanced level in working tests they do not field trial and as such, in his mind, nobody would be interested. Oh, and there was too much emphasis on their show ring success in my writing.. It does make me wonder what I’ve been spending my Winters doing for that last decade. All those days picking up on two shoots when my dogs have come home bloodied and torn and brought countless birds back to the game cart. The day when my winning Crufts dog covered four guns on the lakeshore in freezing conditions and entered the water again and again to retrieve every bird shot bar one.Afternoons’ roughshooting when they will track and trail a runner and return only when it is found. I have taken my dogs as the sweeping up team after a trial when their ‘Field trial stars’ took the podium for honours while the ‘Hunting handmaidens’ searched and found what was left behind. When I started writing this blog in January it was to open peoples’ minds to the fact that there are real working gundogs throughout the shooting world that can also hold their own in the conformation ring.. On a level playing field ie. 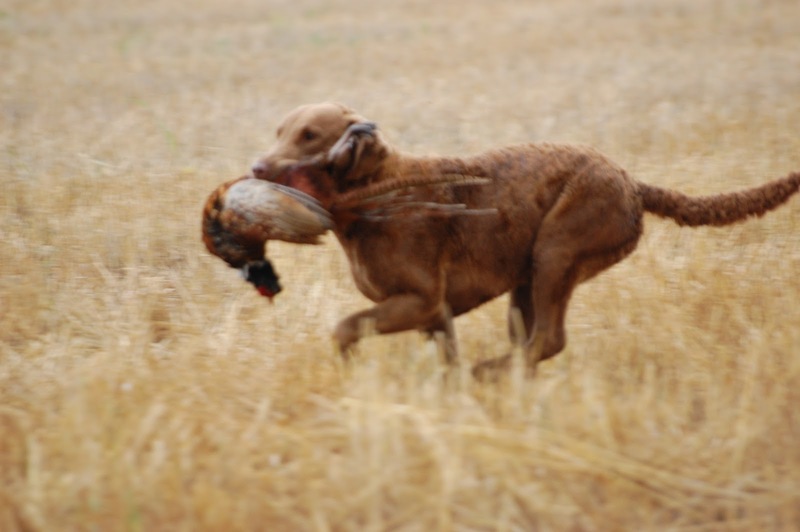 the real working field, any one of the Minority Retrieving breeds can match the Labrador for Gamefinding and retrieving ability. When you strip away the finer points of Field trialling each of these noble breeds can stand alone and be counted. They are all trainable, maybe not to the nth degree that Field trialling requires , but more than enough to achieve the balance between a dog able to use its own inititive and a dog unable to locate a bird unless whistled directly to it. As a person who both actively works and shows her dogs I have seen more prejudice against dogs that show from people in the working field; than I have from people in the showring to dogs that work. I hope , for the sake of the future of our Retrieving breeds, that the attitude of the Editor I spoke to this morning does not reflect the attitude of Shooting people in general.It is equally important that our Gundogs retain their conformation in order to fulfill the working role they were bred for. Working ability alone is not good for the health of any breed. It was my first rejection, it stung a little..but I am grateful for his feedback. This entry was tagged animals, gundogs, showdogs, writing. Bookmark the permalink. ← Remembering Breeze..grieving the loss of a young dog.